If your storage unit is on the ground floor or part of an outside structure, then you want to consider putting your items up on pallets. The reason is for potential flooding that might occur when snow melts or there is heavy rain. A storage unit is not vacuum-sealed. Speaking of vacuum seal, you should also consider wrapping what you can in industrial plastic wrap. This will keep dust and potential pests out of your stuff. This type of plastic wrap is easy to use especially when you have the proper dispenser. Do you know exactly what’s in your closet? You may to put stuff there months ago and completely forgot about it. Same thing will happen with your storage unit. That is why you need to label your boxes. It might also help to number those boxes and create an inventory list. That way if you need to go get something you know exactly which box to pull. If you’re putting a lot of boxes into a unit, then it might help stack them as you would in a warehouse. In other words, create aisle that grant you easy access to your boxes. You can also bring in shelving units to keep your boxes off the ground and better organized. 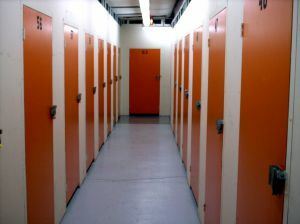 A storage unit should only be used to keep the things you consider valuable. There’s no reason you should be paying for rent for junk. This is where a call to Junk King BucksMont can make a difference. You’ll be able to turn over all your unwanted furniture, appliances, e-waste and other items to these professional junk haulers. They’ll back the truck right up to your storage unit and load everything in an efficient and affordable manner. Keep your storage unit organized and clear of rubbish with help from Junk King BucksMont. This entry was posted in BucksMont Junk removal and tagged clutter, Junk King, junk removal, Storage Unit on July 24, 2017 by Junk King. Last updated July 24, 2017 .